In collaboration with Lauren, Jocelyn, Maria, and Tatyana. 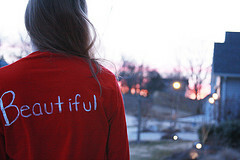 What we consider beautiful is subjective, but there are some English words that language lovers have reached a kind of consensus on regarding beauty. A unique combination of vowel and consonant sounds, coupled with a nuanced or associative meaning of a word, can create an aesthetically satisfying phonologic harmony and musicality. However, just as excessive explanation can strip the humor from a joke, we risk dulling the experience of hearing, speaking, and reading beautiful words with too much analysis. Best to jump right in and see what we’ve uncovered. Finally, in an informal survey of several language professionals around the ALTA offices, we found an interesting pattern. Several of the the most beautiful English words, as deemed by ALTA-ites, are actually loanwords from foreign languages, which is probably just a reflection of the multilingual atmosphere, but could also be indicative of English’s constant expansion. a soft murmuring or rustling sound; a whisper. [German loanword] A double, or look-alike person. [Dutch loanword] the warm, comfortable feeling of being with people you love in a cozy place. [Portuguese loanword] longing for something or someone that you love and which is lost. We don’t just make lists of words, we can translate them, too. ALTA has more than 30 years of experience providing language and cultural solutions to businesses, government agencies, and nonprofit organizations. Contact us today! Gezellig is Dutch, not German. Thank you for pointing out our error! We were thinking of the German loanword ‘Gemuetlichkeit’ but decided that Gezellig is more enjoyable to say, even if it hasn’t been adopted as widely as Gemuetlichkeit. I really like the word sesquipedalian. A while back, my family started describing one of my sisters as being rather loquacious, so I said I was more given to sesquipedalian loquaciousness. In addition to Dutch, “Gesellig” is found in modern German as well, and traces back at least to Middle High German. The meaning is identical. While ‘gemuetlichkeit’ is due to your location (furniture etc. ), ‘geselligkeit’ is elicited by the people you are with. A good list, but may I correct your definition of ‘Diaphanous’. Diaphanous things allow light to pass through them, so they are entirely translucent. Perhaps you meant “… almost transparent”? I think ‘aubade’ is beautiful, and ‘aurora’, too. Thanks for this post. So happy to see both ‘Gezellig’ and ‘Saudade’ on the list. My parentage is from Holland and my wife is Portuguese. The only word unfamiliar to me were ‘Epythymy’ and ‘Susurrus’ … which are truly beautiful words! Thanks for clarifying why gezellig is on the list instead of gemuetlich, because I wondered. I’d agree, gezellig is lovelier on the tongue. My favorites are diaphanous and mellifluous, for the combination of meaning and sound. I’m not sure that many ladies will think the word thrush sounds beautiful. it’s not “Poshlust,” but more like poshlost’. It’s no “Nabakov.” It’s Nabokov. Where the heck did the word epythymy come from? Did this word exist before this popularity contest? All searches only return this site or someone using it as their name. It’s also not in the OED or my handy-dandy Websters. It was suggested that “MEMORY”was selected after mother over celophane. I hope I spelled it correctly. Is not “beauty” the most beautiful word after the word “mother”? My list of other beautiful words encompasses the following twenty:luscious, delicious,cynosure,cornucopia, aura, grace,bloom, poise, elan, zest,romantic,lovey-dovey, dream,debonaire,scintillating, evoke,enthusiasm, thrall,fantabulous and majestic. … My girlfriend’s last name is Saudade. I just hope it doesnt take on that meaning anytime soon. I’m portuguese and I’m very proud to see that beautiful word “saudade” is on the list. In fact, I use it almost everyday to tell my boyfriend how much I miss him, because we’re far away from each other. That’s a really meaningful word to me. I also loved “susurrus” because it sounds like “susurro” in portuguese, with the same meaning. CAN YOU GIVE ME ANY REFERENCES? I CANNOT SEEM TO FIND ANYTHING? I know that question was years ago but never is too late. Epythymy is a greek word “επιθυμία”. It is consisted of the preposition “epi-” and the word “thymos”. Gesellig happens to be one of my most favorite words. MB. Funny that you mentioned saudade. I found this a few minutes ago before reading this thread. Saudade was once described as “the love that remains” after someone is gone. Saudade is the recollection of feelings, experiences, places or events that once brought excitement, pleasure, well-being, which now triggers the senses and makes one live again. I have always loved the word “serendipity”. I am a self confessed ‘sesquipedalian’. The English language is so rich in words from so many other languages and language roots that it is very tempting to slip into sesquipedalian loquaciousness lest one slumps into unfettered morbidity. Oh dear, here I go again ! The best word is the full chemical name of titan. Type it in.